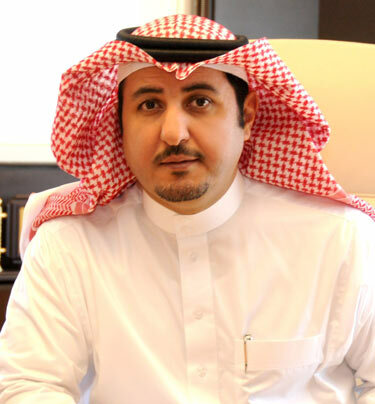 Abdulaziz Alsaghyir Holding – one of the major companies specialized in investment, contracting, building materials and real estate development sectors – has recently announced that the volume of company investments in the real estate sector for 2013 exceeded half billion Saudi Riyals. In this regard, the real estate investment deals concluded by the company throughout the last year were mainly concentrated in three major countries, namely: the United States of America, the United Kingdom and the Kingdom of Saudi Arabia. Waleed Alsaghyir, Vice President at Abdulaziz Alsaghyir Holding, stated that throughout 2013 the company had entered into real estate deals in a range of global real estate markets with the purpose of accomplishing a bundle of investment targets. At the foremost of these targets was entering the American real estate market in order to accomplish about 9 % annual cash return where dissociation takes place in five years. Additionally, it was expected that the value of the acquired real estate would increase at dissociation, thus achieving the investment target required. Consequently, we invested in the American real estate sector which is starting to be back on track after expiration of the negative consequences inflected by the world economic crises; actually the real estate situation in America is currently flowing from good to better. Within this context, a number of current real estates were acquired in some of the major states of strong economics including Texas, California and the Capital Washington, D.C.
“Other investment targets include entering the European real estate markets in order to achieve an internal rate of return on investment that is up to 30 % – where dissociation takes place in two or three years – via establishing and developing a number of residential projects in significant sites in Europe. Hence, we invested in establishing and developing real estates in the heart of London in order to achieve the aspired investment target and we’ve taken the site importance and its appeal to the target customer into consideration. This comes along side to investing in the field of residential real estate in Saudi Arabia which the company believes to be a generously rewarding investment given the increasing demand for it in the coming years especially that the Kingdom is currently considered the Middle East economic center and enjoys security and economic stability” Alsaghyir added. Abdulaziz Alsaghyir Holding invests in the Saudi residential real estate sector through one of its real estate companies – Maskan Arabia Co. – in which it possesses ownership stakes of about 70 %. The company was originally founded for the purpose of providing high quality housing solutions and crafting the most prestigious housing standards through launching a number of villa projects that enjoy elegance of design and uniqueness of execution. The company investment portfolio comprises a broad range of residential projects and throughout the past three years, Maskan Arabia managed to deliver three projects comprising 114 residential units. The most prominent among the company residential projects are Maskan Villa (1), Maskan Villa (2) and Al Dar Project in the Al Ma’athe district in Riyadh. Currently Maskan Arabia plans to complete its latest and hugest residential project – “Ritaj” which the company has started to develop in Northern Riyadh and comprises 292 residential units. Alsaghyir expected that the real estate sector in Saudi Arabia shall continue the march of prosperity that it has started a few years back given the establishment of an independent ministry mainly concerned with housing, issuance of executive regulations for the mortgage system as well as the government initiatives – represented in the Ministry of Housing – in supporting citizens to attain their own residential units.